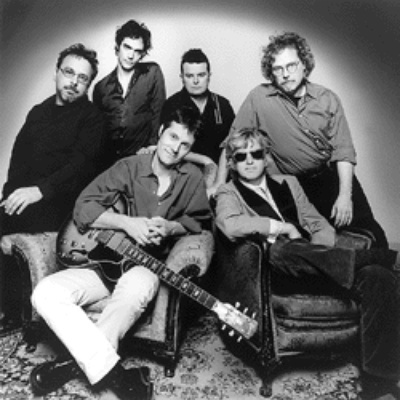 Blue Rodeo is a Canadian country rock band formed in 1984 in Toronto. Jim Cuddy and Greg Keelor, who have been friends since high school, having both attended North Toronto Collegiate Institute. The pair worked on forming a band after both attended Queen's University at Kingston. They had a few failed attempts and a few adventures before finally coming together with Cleave Anderson, Bazil Donovan, and Bob Wiseman to form Blue Rodeo. Their debut album Outskirts was produced by Terry Brown, who is perhaps best known for his work with Canadian hard rock legends Rush, was released in March 1987.